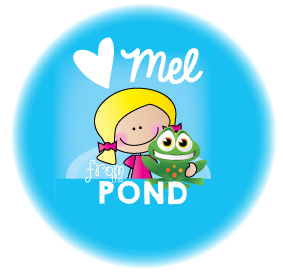 Hi Blog Hoppers, this is Mel (From the Pond) with you today. Firstly, I apologise for the shadows in these photos. We just had a flash summer storm rip through and we lost power. I took these photos in very poor light. Today I want to show you some directions for drawing a cute Christmas mouse. After drawing, your students could color or paint the mouse. I used some water-soluble crayons, which I am loving right now. You can color with them, then just apply a thin coat of water and a lovely water-colour effect is achieved. 1. Start with a blank piece of paper. 2. Draw a small circle and two lines for the hat. 3. Next draw the fluffy hat trim, by making jumpy cloud movements at the base of the hat. 4. Draw the ears coming out to the side of the hat. 5. From the bottom corner of the ears, extend two lines down to create a face. 6. Draw a cute round nose at the bottom of the face. 7. Draw some 'stick' legs and some cute little feet. 8. To make a rockin' mouse outfit, draw a rectangular neckline and two 'c' shapes at the side for arm holes. 10. Draw some eyes and whiskers. 11. Color your Christmas mouse carefully. As described above, I then painted a thin layer of water over my crayon mouse. You need to be careful to make sure the colors do not run together. Start with the lightest color used and work through to the darkest. I then attached my painting to a nice bright background paper. I hope your little ones like drawing and creating a Christmas Mouse! If you are in need of a literature unit - I highly recommend this one my Micehelle Oakes. 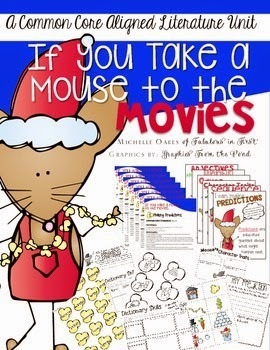 It is based on the story "If you take a mouse to the movies" and I promise your students will love it. Find it by clicking on the image below. I also wanted to let you know that I have a free clipart set over at my blog today. 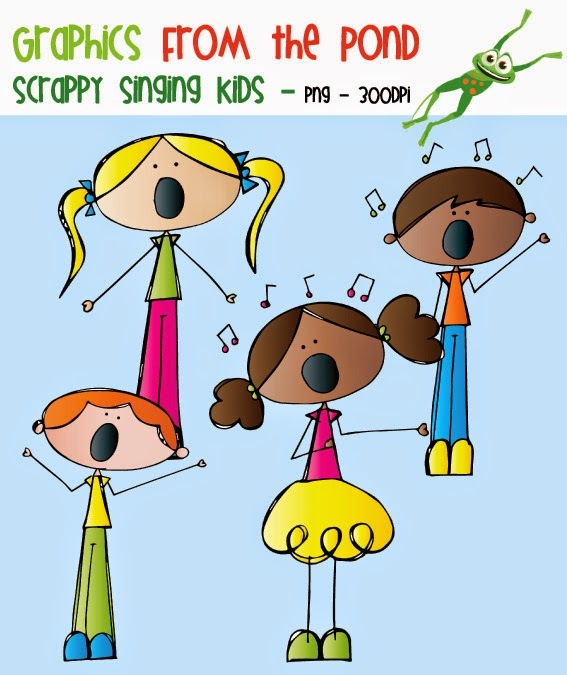 Just click on the image below and you can grab yourself a set of 'Scrappy Singing Kids' clipart! Thank you so much for stopping by today friends. So stinkin' cute!! I always love your directed drawings!